With some customers I am now the 8th day on a trip through Peru. (Zum deutschen Blog. 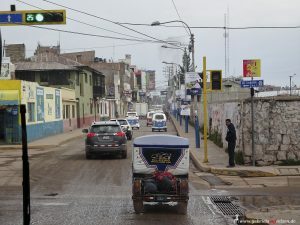 )The route from Puno at Lake Titicaca to the valley of the river Urubamba is a long one, so we have to leave Puno at 6:30 am. 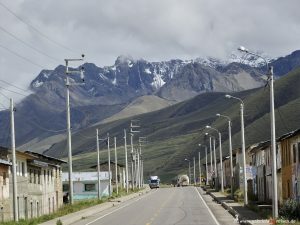 Again we travel a long distance by bus over the Altoplano in Peru, which is partly over 4000 m above sea level. 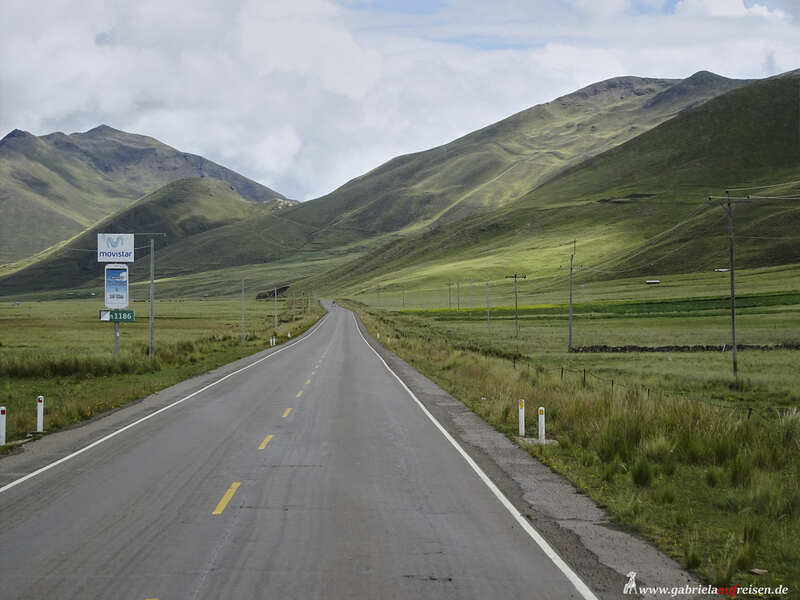 There is not much traffic on the road. 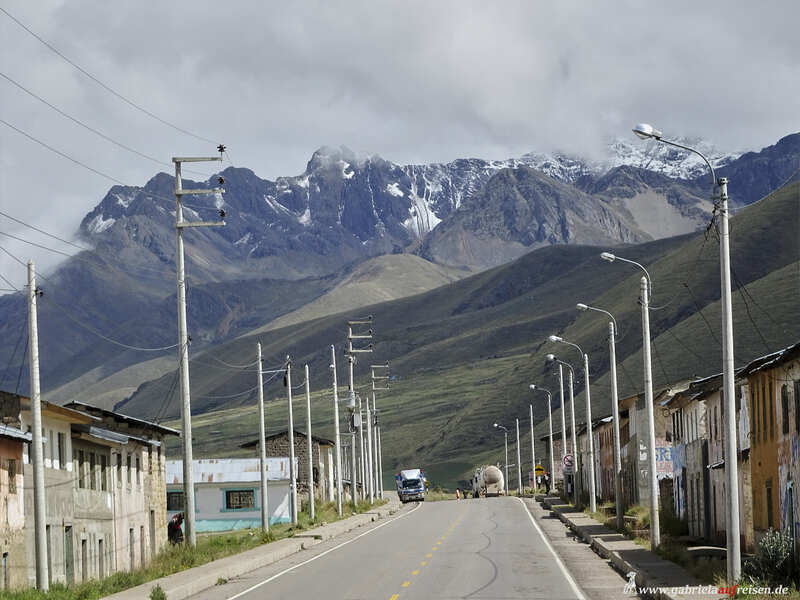 Again we cross a high mountain pass, this time with almost 4400 m altitude. Unfortunately, the clouds are low, so we do not see much of the surroundings. At noon we reach the Inca ruins of Raqchi. Many stockpiles are still to be seen, but not completely preserved. Giant walls are still found, almost resembling a Roman aqueduct when viewed from a distance. 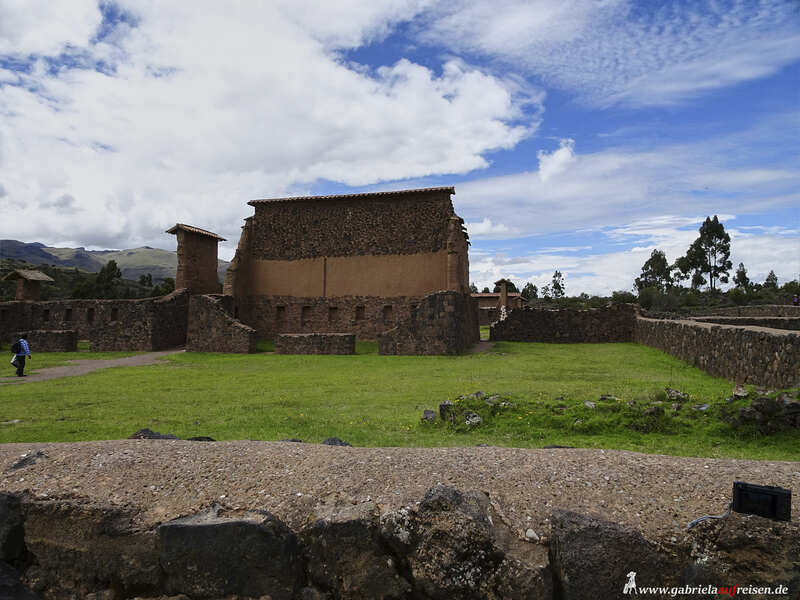 It is the Viracocha Temple, which once bore an unusual roof structure for an Inca building. We now follow the course of the “Holy River” through the very fertile valleys. Potatoes are hardly cultivated here as in the highlands. Here it is warmer, as located lower. This is where corn, grain, vegetables and fruit grow. 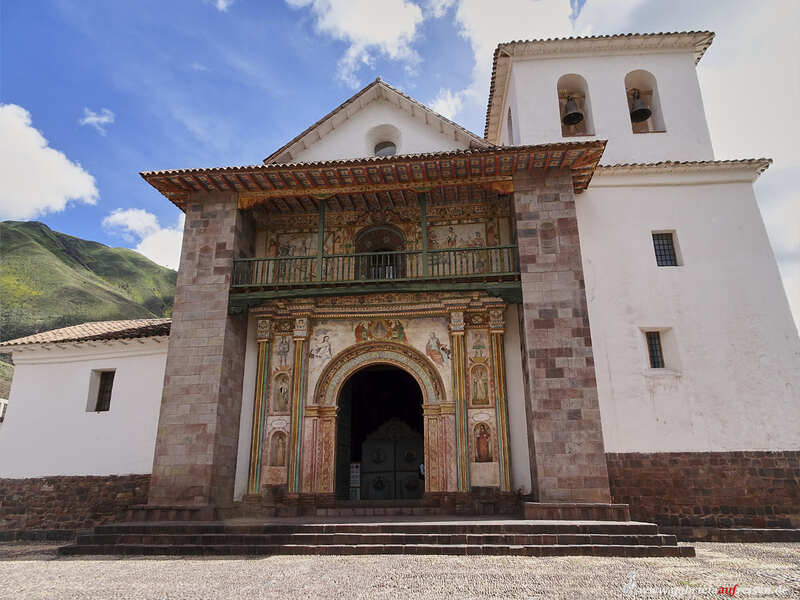 In the village of Andahuaylillas we visit the “Sistine Chapel” of South America. The baroque church was built on the foundations of a former Inca temple. It is decorated with ornate paintings, especially I like the painted wooden ceiling. Much leaf gold was processed here. Photographing is not allowed. 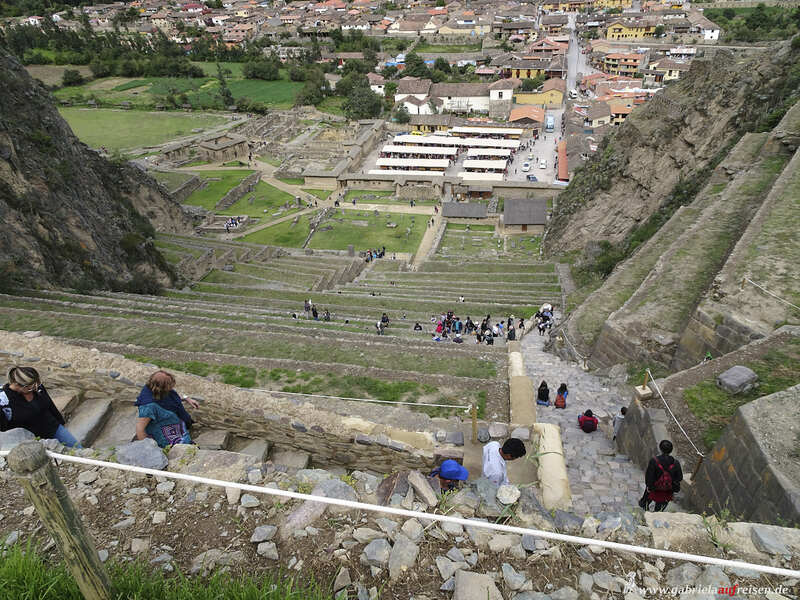 Further on I am absolutely impressed by how the terraces rise all the way up the steep mountainsides. 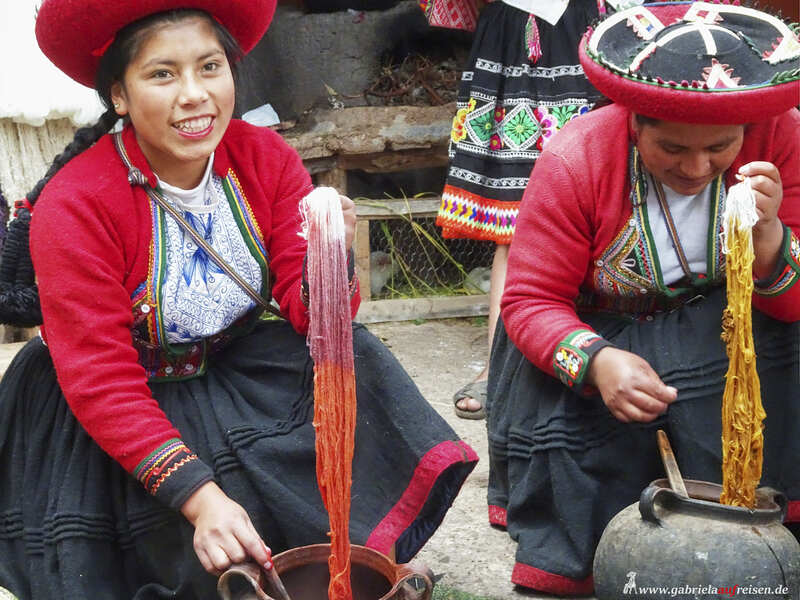 They have already been created by the Incas and are still partly used today. 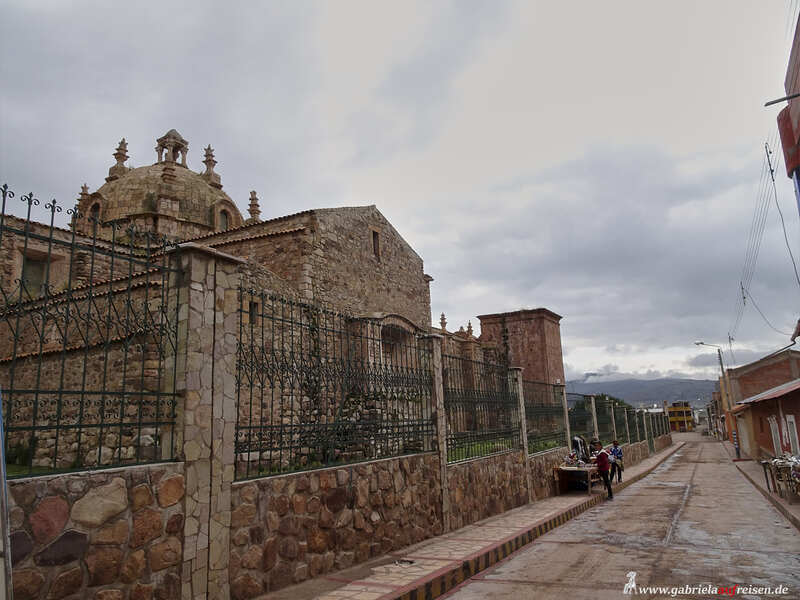 Then we arrive in Urubamba at our Hotel San Agustin Urubamba. It is a nice 3 star hotel with large, clean rooms and good food. With the Tuktuk it is only 3 minutes to the shopping street and the exchange offices, while walking 15 minutes. 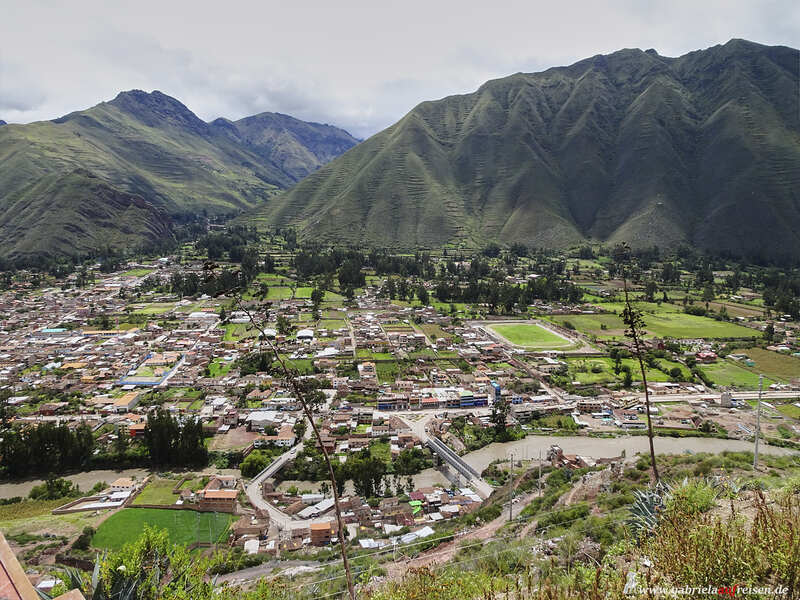 The “Holy River” changes its name in the city and becomes the Urubamba River. It is also one of the tributaries of the Amazon. 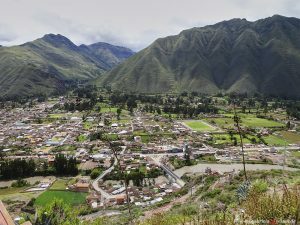 The next day starts later, as we stay in the valley of Urubamba. Finally we can sleep in! 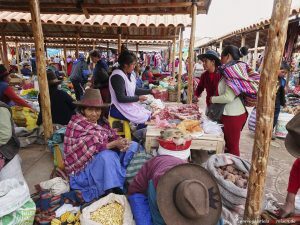 As it is Sunday is, the best option is to explore the Sunday market in Chinchero. 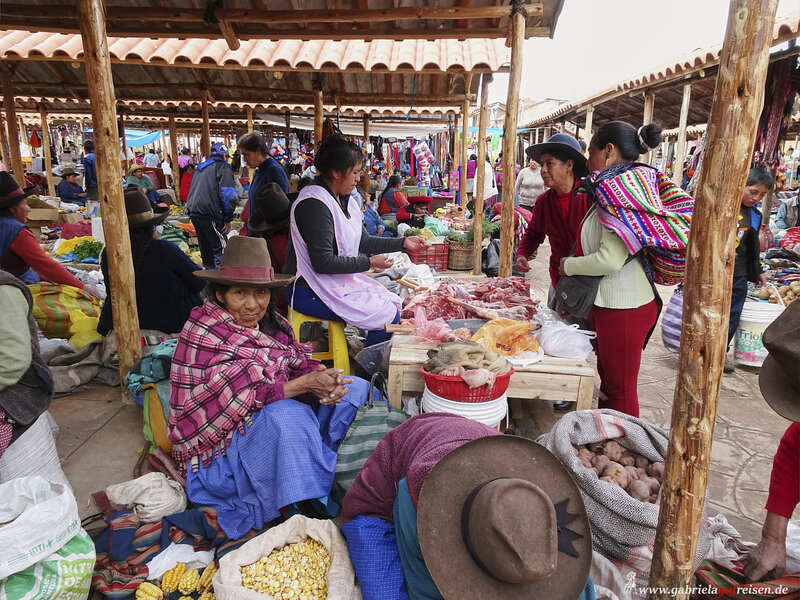 The locals trade here with all kinds of products. It is a beautifully colorful picture. Before that, some ladies of a cooperative let us know some of the secrets of processing and dyeing the llama and alpaca wool. 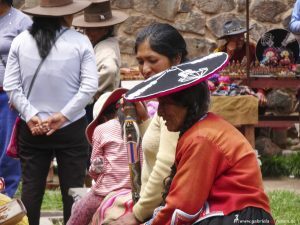 They do not do this in Spanish, since César, our new tour guide, has asked them to do so in Quechua. This is the old Inca language and today’s second official language in Peru. 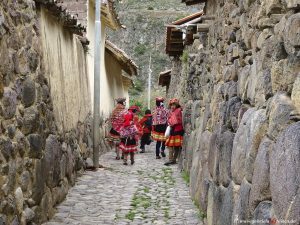 After lunch we continue a little further on to Ollantaytambo. 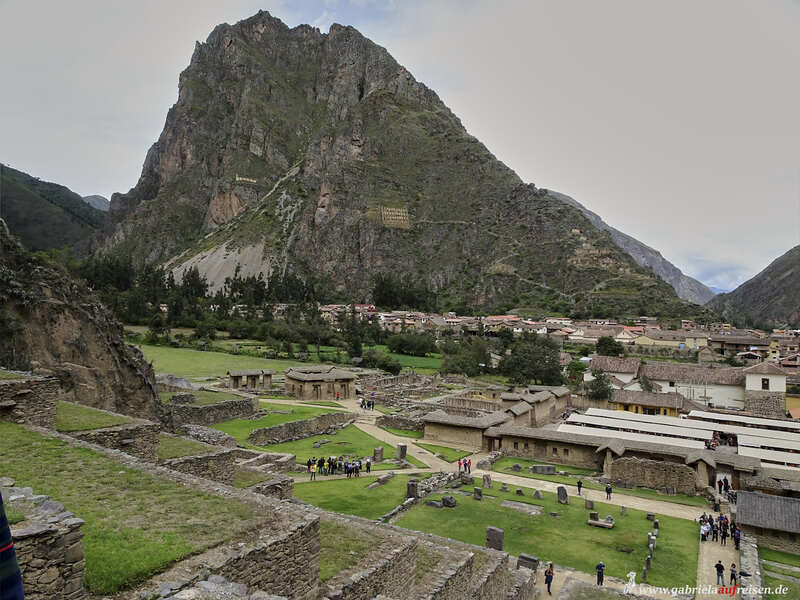 This is not only the station for the train to Machu Picchu, but a place that was built as a fortress by the Incas . 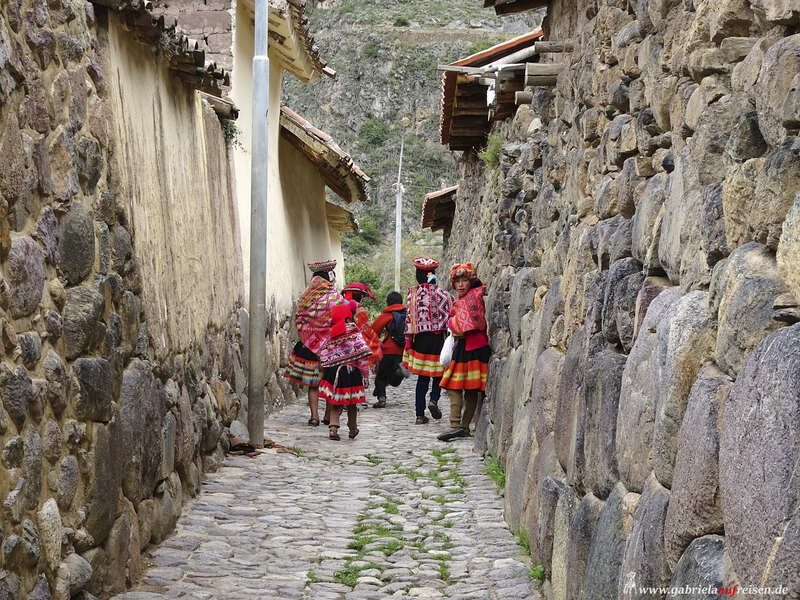 Many people still live here in the old houses, and not only the shamans still carry out the old rituals. From the village, I can well see the huge terraced area, which rises up the opposite mountain. We´ll climb up there in a minute ! But first, some local children sing us a song in their language Quechua. 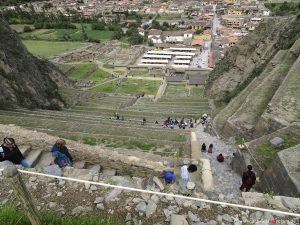 Many steep stairs I have to climb to enjoy the view over Ollantaytambo from above and to see the former storage buildings located above the place. I stand in front of the terrace of the 10 niches. Here, too, some of the stone-blocks they used weigh several tons and they fit seamlessly together. What an architectural masterpiece! Further up the sun temple is situated. 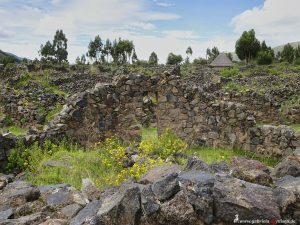 From here you can see the stone quarry for the stone blocks. Almost at the top of the opposite mountain it can be seen. The stones had to be transported 6 km up to here. First down the mountain, then across the river and finally over a huge ramp up the mountain here again. What an incredible effort was made! 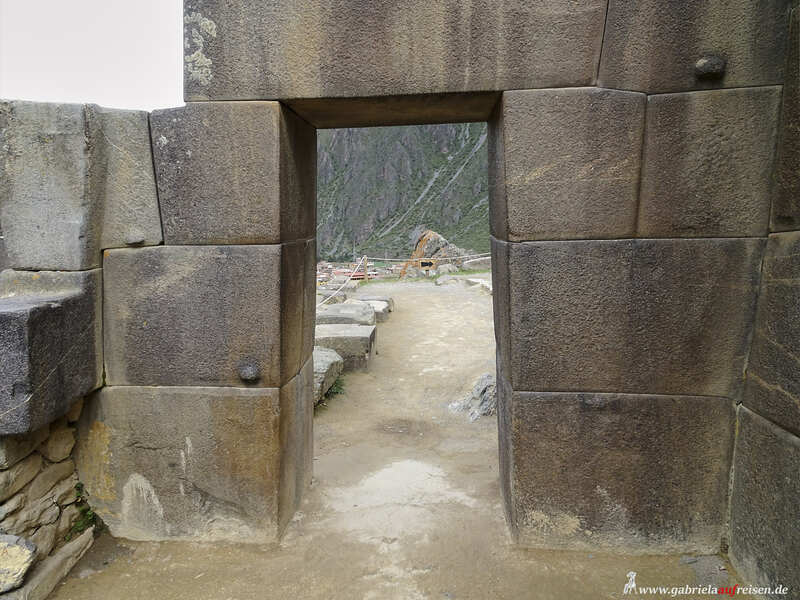 And the Incas didn´t even know the wheel. They set up many thousands of miles of roads and paths, but wagons they did not have. The complex has never been completed since the place was conquered by the Spaniards before the completion. Tomorrow we will return, but only to take the train to Machu Picchu. You would like to see some more photos ?! On Instagram you will find them. I am happy about comments and of course your “like”!